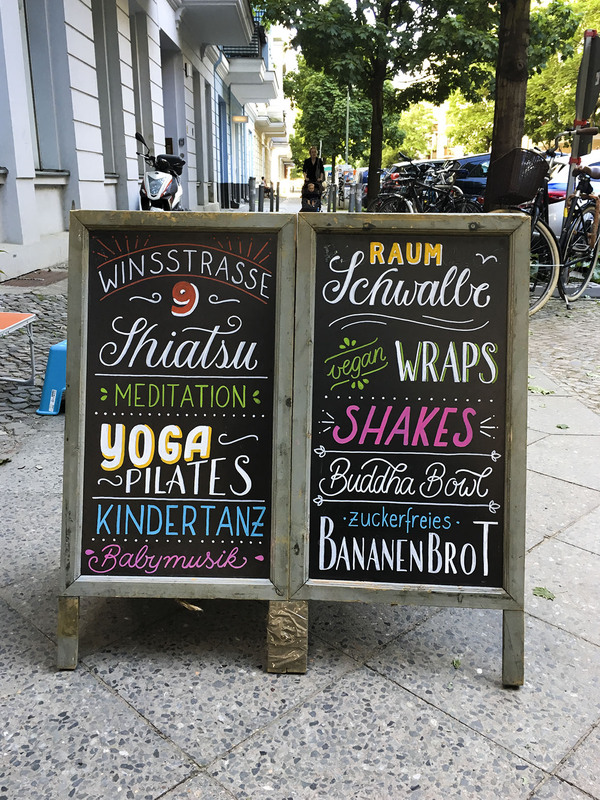 A lot of surfaces to write on, that’s what I like. 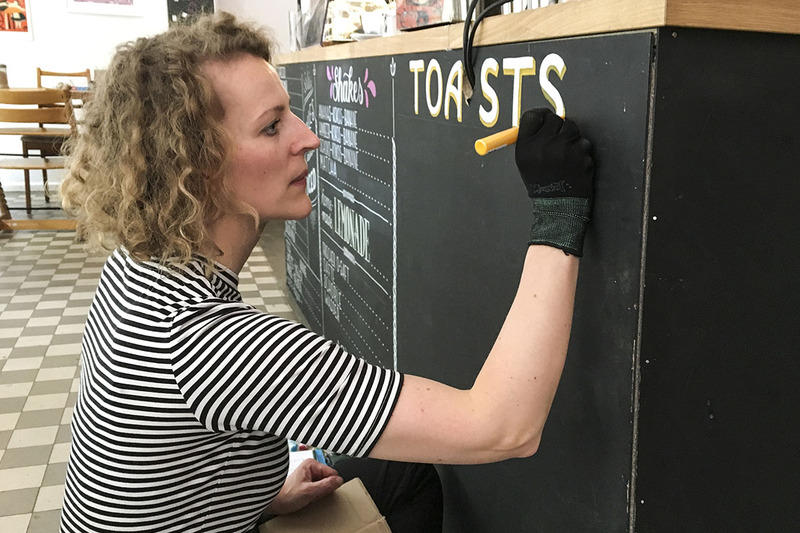 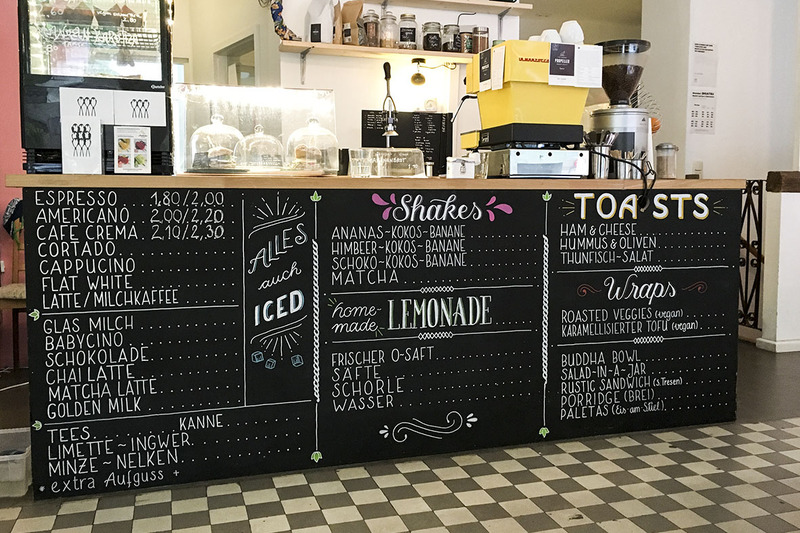 This time a Berlin Café needed my help. 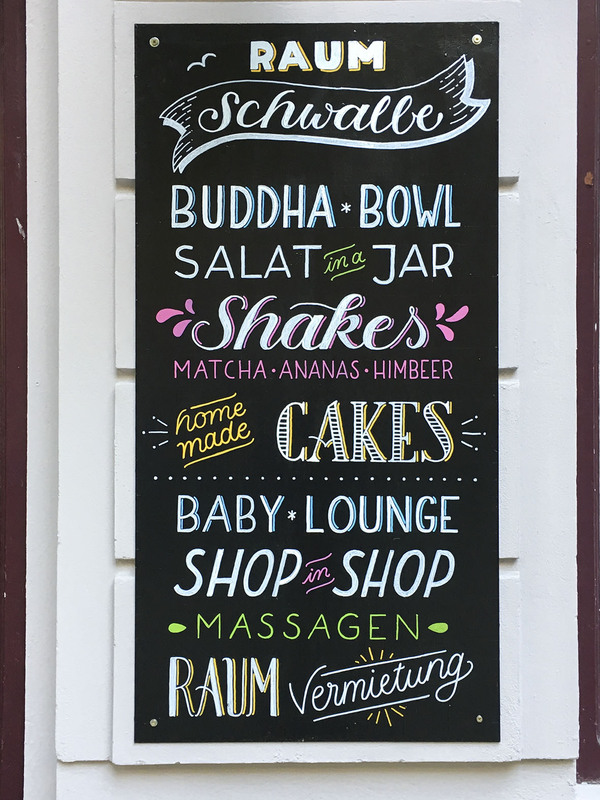 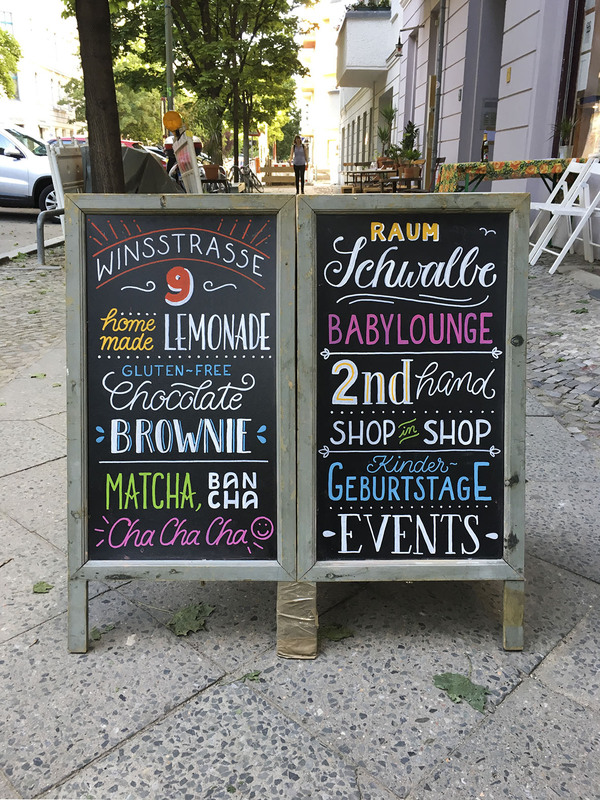 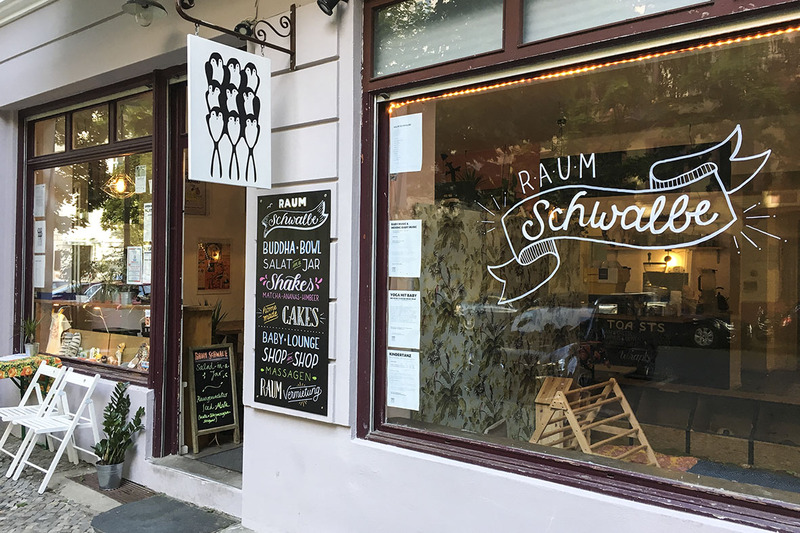 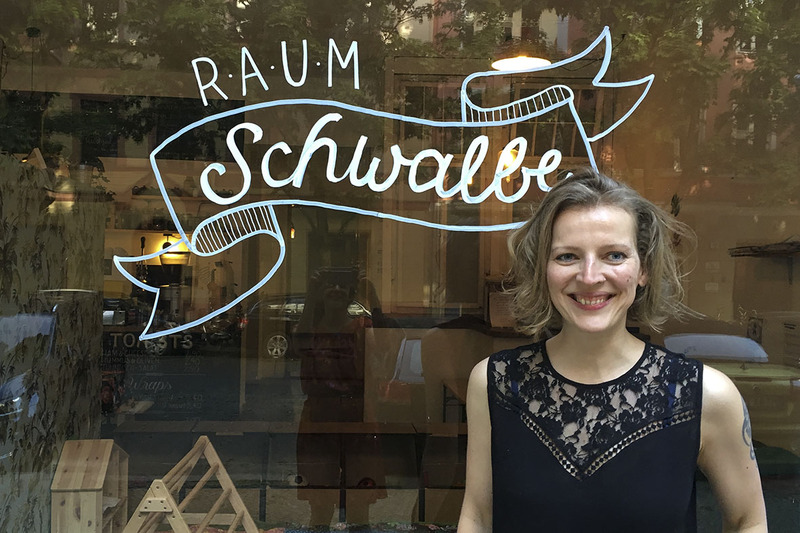 I designed the menu boards, the boards outside and even the shop window of the café "Raum Schwalbe".